Often used for home improvement, bill consolidation, auto purchases, or education. Please refer to Details tab for additional information and important disclosures. * Please consult your tax advisor regarding interest deductibility. Thank you very much for working with me during the application process for my Equity Loan. You were very quick, friendly, professional and a pleasure to do business with as usual. 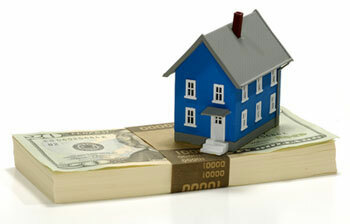 A home equity loan (HEL) is a loan secured by the portion of your home's value you own outright. That's defined as the difference between your subject property's appraised value and your current mortgage balance. Because homes generally hold or grow in value over time, HEL rates tend to be very low. They're always lower than credit cards and most consumer loans. Generally, HELs come as lines of credit or fixed-rate installment loans. A feature on DCU's Equity LinePLUS gives you the advantages of both in one loan. Sometimes called HELOCs, these loans give you a credit limit you can borrow against. As you pay back your loan advances, those amounts again become available to borrow. HELOCs typically have a draw period (the number of years during which you can take loan advances) and a repayment period (the maximum number of years you can take to repay any balance remaining at the end of the draw period). The ability to get advances whenever you need them is the big advantage of HELOCs. For example, if you are building an addition to your home, you can write a HELOC check for each expense as it comes up. You only begin to pay interest on each amount as the check clears your account. HELOCs have variable rates that follow a published index. The Prime Rate is most often used. The actual rate you pay will be expressed as a percentage above or below the index. For example, if the loan rate is Prime + 1% and Prime is 7%, your fully indexed rate will be 8%. As the index moves up or down, so can your rate  typically once a month. You can make advances on most lines of credit by simply writing a check. DCU also allows you to make advances by transfer to another DCU account using Online Banking, Mobile Banking, Easy Touch, DCU ATMs, or at the teller counter. Also known as a Home Equity Loan or Home Equity Installment Loan, this loan gives you a one-time loan advance. The monthly payment and interest rate remain the same for the life of your loan much like an auto loan. People generally use Fixed-Rate HELs for a single major expense such as an auto purchase. Typically for a given loan amount, choose a shorter term for lower interest rates and a longer term to lower your monthly payment. These loans are the most convenient. Your primary account is a HELOC that works as other HELOCs do. A combination feature lets you take portions of your line of credit (up to two) and set them up as a fixed-rate advances. As the principal on the fixed-rate portions are paid down, they becomes available to borrow again on the line of credit portion. Why is this advantageous? Say you decided to buy a car with your home equity, but wanted to pay it off in five years. You can get a fixed-rate advance for the car and pay it off in equal payments for the five years. If you paid it with the line portion, your monthly payment would vary with changes in the Prime Rate and changes in your balance, making budgeting the payments a little more challenging. However, if you just got a fixed-rate HEL, you'd have to open another loan the next time you wanted to finance something. It's also possible that the current rate on the line balance may be lower at the time you are ready for an advance. You can choose the option that saves you the most without having to open a new loan. Why get an Equity LinePLUS or Fixed-Rate Home Equity Loan at DCU? Reasonable minimums  Many large banks require a $25,000 balance to get a good rate. DCU has no minimum draw on our Equity LinePLUS and only $15,000 on Fixed-Rate Loans. Your rate is not tied to the size of your loan. No annual fee  Many banks charge you to have a line of credit. We don't! 20-year draw and 20-year repayment on Equity LinePLUS  Most institutions cut off your line access after 10 years. We think you'll need it longer, especially if you're using it to put several children through college. Easy to apply  Apply online or by phone 24 hours a day. No tricky introductory rates  With our Equity LinePLUS, you start out with your regular rate  as low as Prime minus 1/4%. * Your actual rate is determined by your personal credit history. * The minimum Annual Percentage Rate on Equity LinePLUS is 3%. The maximum is 18%. I spoke to several loan officers during the process and every one was so willing to help and answer any question i had about my loan. My wife and I felt very comfortable with the way everything was handled and hope to do more business with you in the future. Equity LinePLUS  A home equity line of credit with optional fixed-rate, fixed-term advances. Home Equity Installment Loans  Fixed-rate, fixed-term loans up to 20 years.